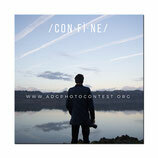 ADG Photo Contest 2019 / 2ª ediTION - "confine | BORDER"
The border is also understood as a threshold, a concept seen in the dynamic perspective of crossing, which at that moment becomes the place of creativity, of imagination. Sign up for the Contemporary Photography Prize 2nd edition 2019, open to the participation of works in photography, published and not published by artists, from all over the world, of any age and formation. The intention of this project of Contemporary Photography is to create the meeting, during the opening night of the exhibition, between the artists and the public. The winners will be announced during the opening of the final exhibition. Confine/Border, a theme open to immense spaces of creativity. The border protects, limits, forces to stay in a place or urges to go further, the boundary of understanding, a limitation, a handicap, a diversity. The theme Confine / Border is a incitement to encourage authors to develop cultural expressions that reflect the social / cultural facets of their world. Prize for Contemporary Photography 2nd Edition 2019, open to the participation of works in photography, published and not published by artists from all over the world. Photography is the ideal tool for expressing oneself creatively on issues concerning personal, social and present issues. Is it possible to live in a world without borders? Is it desirable? Is not our uniqueness dictated precisely by the presence of a boundary between "I am me" and "you are the other”? Is it not precisely in this borderland that the process of knowledge of the self and of the other takes place? Which force manages to thin the boundary line until it becomes crossable? Love? Determination? Curiosity? Life itself? What happens to the human soul when it crosses the boundary of reason, of decency, of endurance, of everything that we considered impossible? What is the boundary between imagination and image? Is art a border to be overcome or a goal to reach? ADG Photo Contest is a photographic award, founded in 2017 by AD Gallery to support photographers, Italian and foreign artists, who work creatively on themes concerning personal, social and current stories. 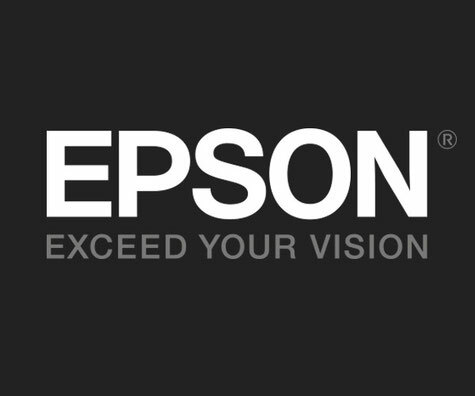 Epson will offer the participants of the photo contest free workshops that will take place during the period of the exhibition "Confine | Border". AD Gallery's idea is to move works from the on-line gallery to various locations, even in private spaces, which can also be the same houses of the artists or unusual environments: laboratories, empty spaces, abandoned premises. Deaphoto is a Cultural Association dealing since 2001 with photography, educational activities, exhibitions, editorials, promotion, spread and criticism. Our projects are mainly addressed to the analysis of the social and environmental issues of the territory through surveying, documentation and awareness campaigns that have always accompanied our training activities. We are looking for collaborations to develop and make known at best in the cultural and international network the ADG photo contest project, now at its second edition with the proposed theme: "Confine | Border". Participate as a donor to the "Confine | Border" project, to support new cultural initiatives and help us to tell art differently. We want to transform what we do not like into beauty and to learn to look beyond the surface. If the theme of the photo contest of contemporary photography has an important cultural and social value for you, you can support the project according to your possibilities, how much and how you want. You can thus be part of a project, not stopping at observation, but actively participating in it. Once the catalog for the exhibition has been created and printed, you can collect it directly during the exhibition or receive it by mail.